Tiny houses and small apartaments are growing in popularity. While both come with lots of eco-friendly benefits — like cheaper utility bills and less room for clutter—small dwellings require furniture capable of performing more than one task. One surprise guest can crash on the couch, but what happens when there are two? 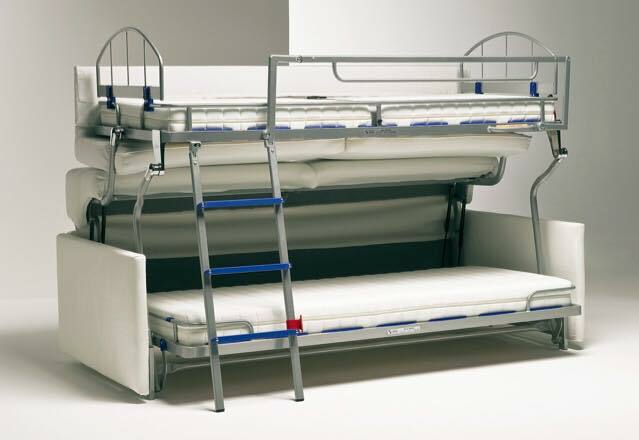 That Bunk Double Bed convertible sofa, a new offering from space-saving expert Italian Resource Furniture, solves this problem in a matter of seconds. 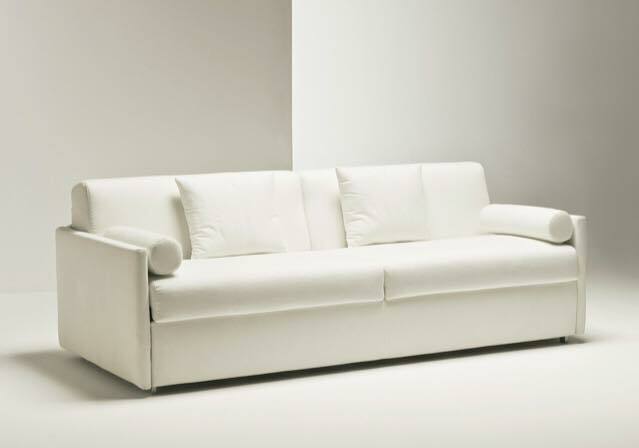 This sofa morphs into a bunk double bed that can comfortably accommodate two adults or two children, turning a living area into a guest room with one simple motion. 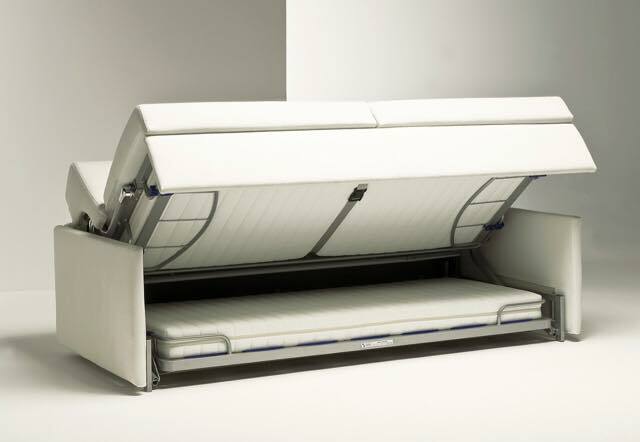 A sophisticated and revolutionary mechanism patented at the international level characterizes this sofa bed containing two superimposed beds, thanks to a combined tilt up opening of the top bunk (mattress cm80xcm190xcm12) and sliding forward of the bottom bunk (mattress cm75xcm188xcm12). Frame: Wooden frame with padding in polyurethane foam Mechanism: beech wood slat base cm20 wide Mattress: standard N°2 polyurethane foam matresses with removable cover. Optional spring mattresses are also available Seat cushion: padding in polyurethane foam Back cushions: padding in polyurethane foam + 100% polyester fiber Feet: metal feet Upholstery: the fabric cover is completely removable.